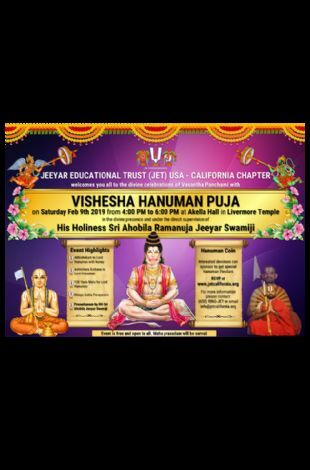 Please note Vishesha Hanuman Puja occurred in past. 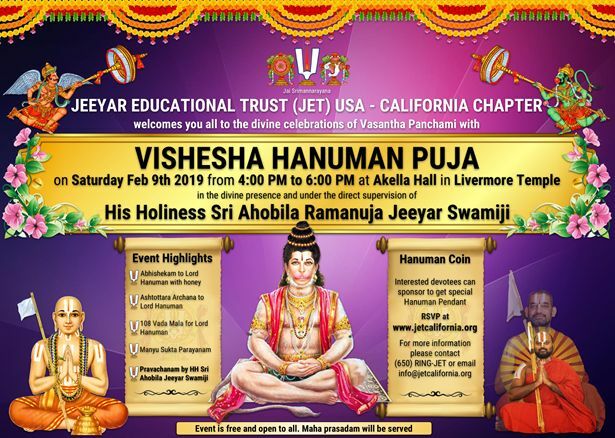 JET California invites you to "Vishesha Hanuman Puja" under the direct supervision of HH Sri Ahobila Ramanuja Jeeyar Swamiji . Pravachanam by Sri Swamiji followed by Theertha prasadam. This is an opportunity to obtain the sanctified Hanuman pendant thru His Holiness. Please spread the word with your friends and relatives.